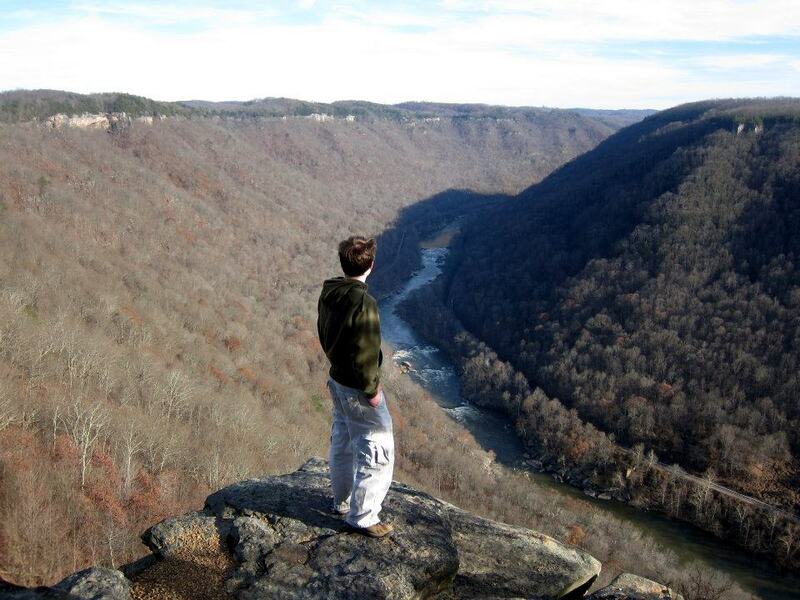 West Virginia’s mountainous terrain makes it the perfect place for hikers, both advanced and novice. I find myself on the novice end of the spectrum but still enjoy a moderate-to-hard hike, especially when the view is breathtaking. I have a lot of harder trails on my to-do list but one of my favorites is the moderately easy 1-mile (approximately) hike to the “Grand Canyon of the East”… also known as Diamond Point Overlook. 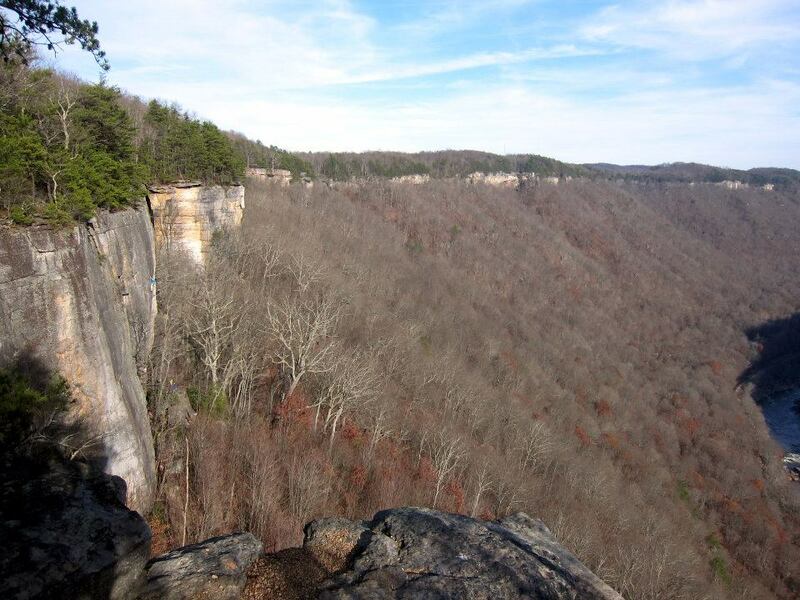 Located in the Fayetteville area of the New River Gorge, Diamond Point Overlook is accessible by the Endless Wall Trail, a mostly level trek from Lansing Edmond-Road to a spectacular view of the cliffs that line the gorge. The cliffs can be seen from various vantage points in the area but the best is to get up close and personal — literally standing on the edge of a cliff. The area is a favorite of rock climbers but it’s also a nice stroll for any adventurers, including families or those who like to take their dogs on mountain walks. Bonus? 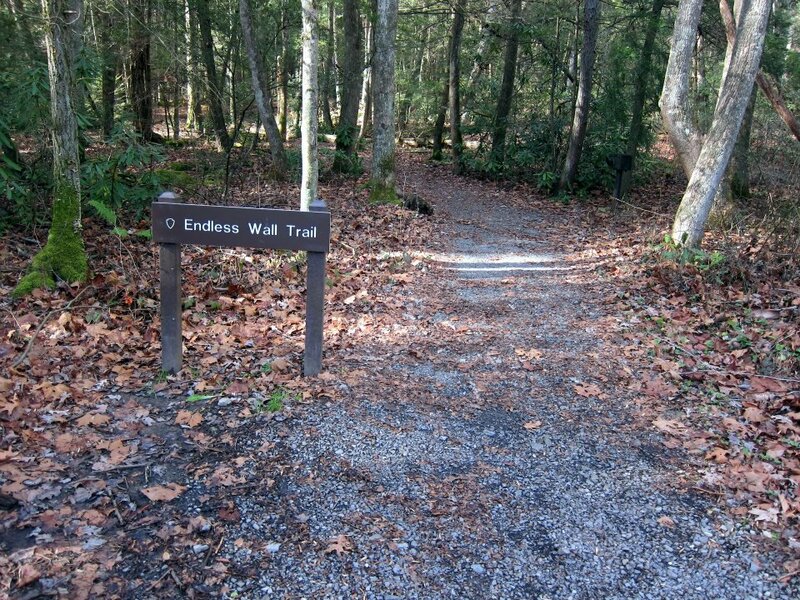 If you’re a geocacher, check out this great Earth Cache (GC2J57E) while you’re hiking along the Endless Wall Trail. Jon overlooking the cliffs. Use caution when approaching the edges.